OKLAHOMA CITY, Oklahoma — Prominent multiethnic church movement leader Mark DeYmaz is warning that tithes and offerings will no longer be enough to sustain healthy churches and suggests that congregations look for alternatives like creating for-profit businesses to generate more revenue. DeYmaz, who founded Mosaic Church of Central Arkansas in 2001 and co-founded the Mosaix Global Network in 2004, will release in October his new book, The Coming Revolution in Church Economics: Why Tithes and Offerings Are No Longer Enough, and What You Can Do About It. The book will expand on a chapter from his 2017 book, Disruption: Repurposing the Church to Redeem the Community. 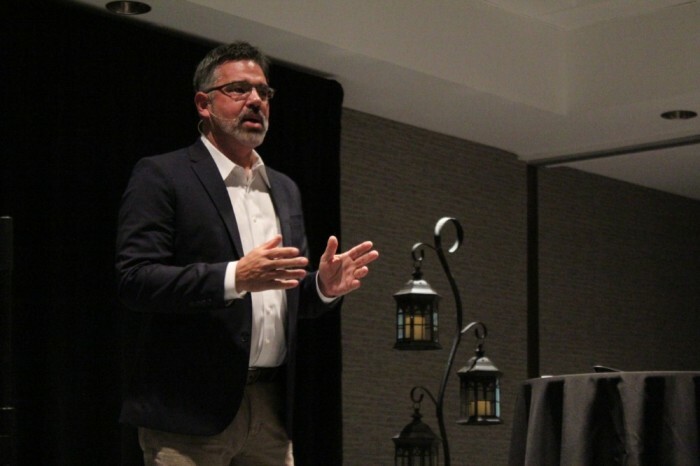 The 57-year-old author shared insights from his yet-to-be-released work while speaking at the Evangelical Press Association’s Christian Media Convention this week.